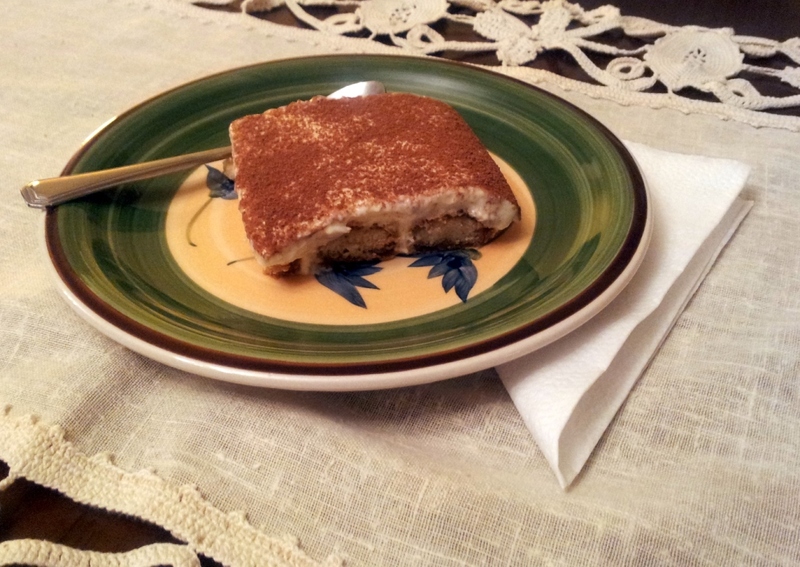 Tiramisu ... a taste of Italy at your home. Growing up in Amman in the late seventies and early eighties, the variety of restaurants that currently exist was nowhere to be seen. At that time, there were only a handful of good restaurants of which two were Italian. 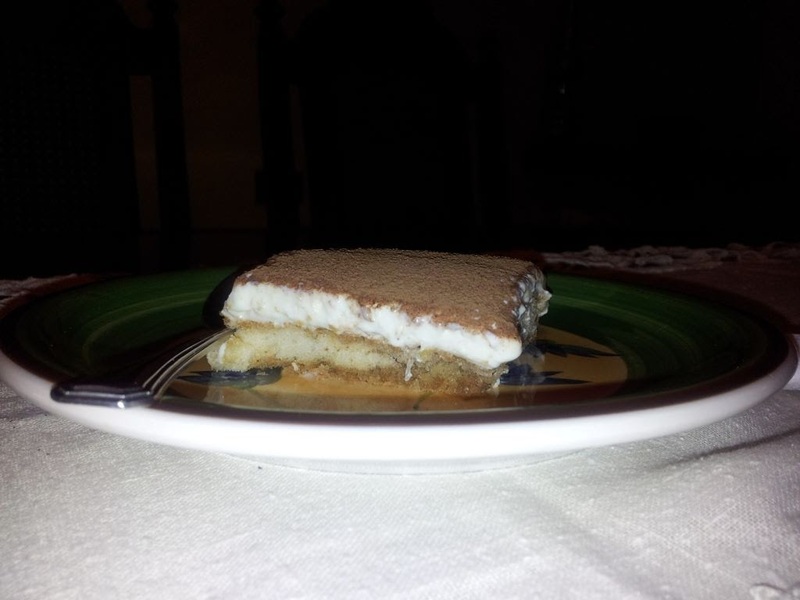 And one of the most famous dishes was non other than Tiramisu! As the Tiramisu version served at those restaurants had alcohol in it, it was a no-no for us kids; but as we watched the grown-ups indulged in this "forbidden delight" named Tiramisu while exhibiting all signs of delight and satisfaction, Tiramisu (at least in my mind) conjured these feelings of intrigue and yearning. With this subconscious belief of Tiramusi being this sweet delicacy that is reserved for special occasions and restaurants, coupled with the limited availability of mascarpone cheese in my country, I stayed clear from venturing into preparing it at home for years. When I finally decided to try preparing Tiramisu at home, I was surprised to find that it had raw eggs in it! It was one thing to eat it at the restaurant savoring each bite with the bliss of not knowing that fact, and preparing it at home and then attempting to eat it while trying to forget the fact that I am in fact eating raw eggs. For me that was a major turn off!!! As I got more daring in the kitchen, I started experimenting with ingredients and how they work together, and finding a good egg-less Tiramisu recipe became high on my list. In my handwritten cookbook at home I have three Tiramisu recipes, this versions is the last one I came up with and when I tasted it I knew "this is it", the search is over. This vesion is prepared with cream cheese versus the traditional mascarpone as the later is quite expensive here! I hope you enjoy this version of Tiramisu as much as we do. Tiramisu is delicious and very presentable when you have guests over. They will never guess how easy it was to prepare! Beat the cream cheese for two minutes until soft with no evident lumps. Add the sweetened condensed milk and beat well. Then beat in the thick cream قشطة. If you want to use whipping cream instead of thick cream, beat the cream in a separate bowl until stiff and then add it to the cheese mixture and mix well. Dissolve the unflavored gelatin in the boiling water. Mix well until all the gelatin is well dissolved and there are no lumps. This may take 2 minutes and the mixture will have a thick consistency. Quickly add the 30 ml cold water, mix then add the dissolved gelatin quickly to the cream mixture and beat well. Depending on the gelatin variety, you may have some very thick lumps in the gelatin mixture, discard them and don't add them to the cream mixture. Set the cream mixture aside for about half an hour. This will allow the mixture to set a bit so that when you pour it over the lady fingers they will not float to the top. 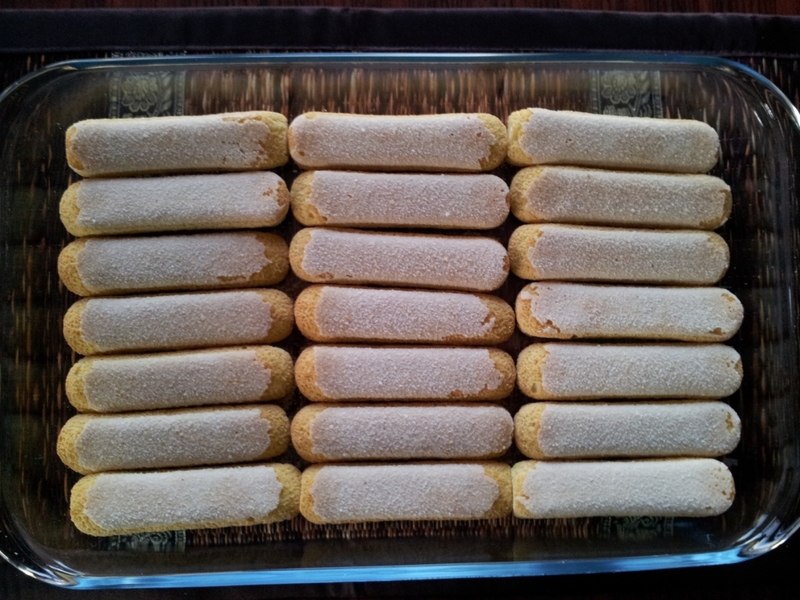 Arrange the ladyfingers in the bottom of a rectangle glass baking dish in rows. Mix the instant coffee, 1 cup water and coffee liqueur. If you are not using liqueur, add an additional 1/2 teaspoon instant coffee to the water. If you want a more authentic Italian version, use espresso coffee mixed with the coffee liqueur. 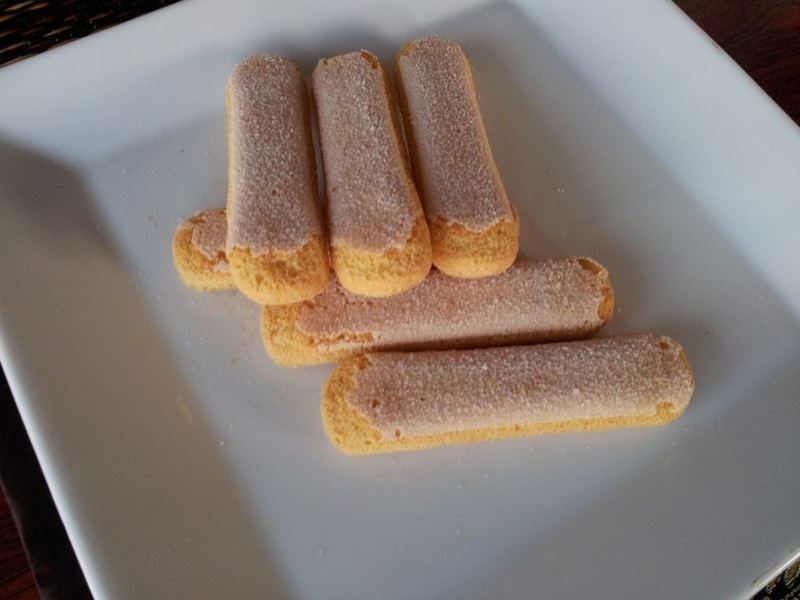 With a spoon, pour 1½ tablespoon of the coffee mixture over each lady finger . Pour the cream mixture over the lady fingers. Put the tiramisu in the fridge for at least 6 hours, preferably overnight. 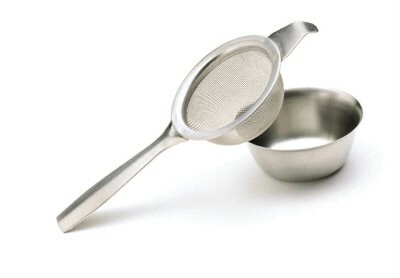 Before serving the tiramisu, place the cocoa in a handheld tea leaf strainer and sprinkle the top of the dish. Hope you enjoyed today's easy sweet recipe: Tiramisu. Bon appetite. What if your favorite Tiramisu recipe?